Though it sounds so appealing, to live our lives exactly how we want, is this really the best way to live? Today we’ll look at what the book of Judges that shows us over 300 years of Israel’s history and what happened when they did exactly that. Those events are told honestly in that story, as that is what the Bible does, make Judges is one of the most difficult books of the Bible to read. Though it has the stories of some familiar names like Sampson, Gideon, and Deborah, who accomplished great things for God, the book fills in the details of their lives, some of which weren’t all that great. In between these well-known characters are also the stories of a number of other Judges who also led Israel for a time. In the midst of this book we also read the story of Ruth, who lived during the time of Gideon and her story shows us that no matter how bad things might be or how crazy our world becomes, there will always be people who choose to serve God and who protects and honors. 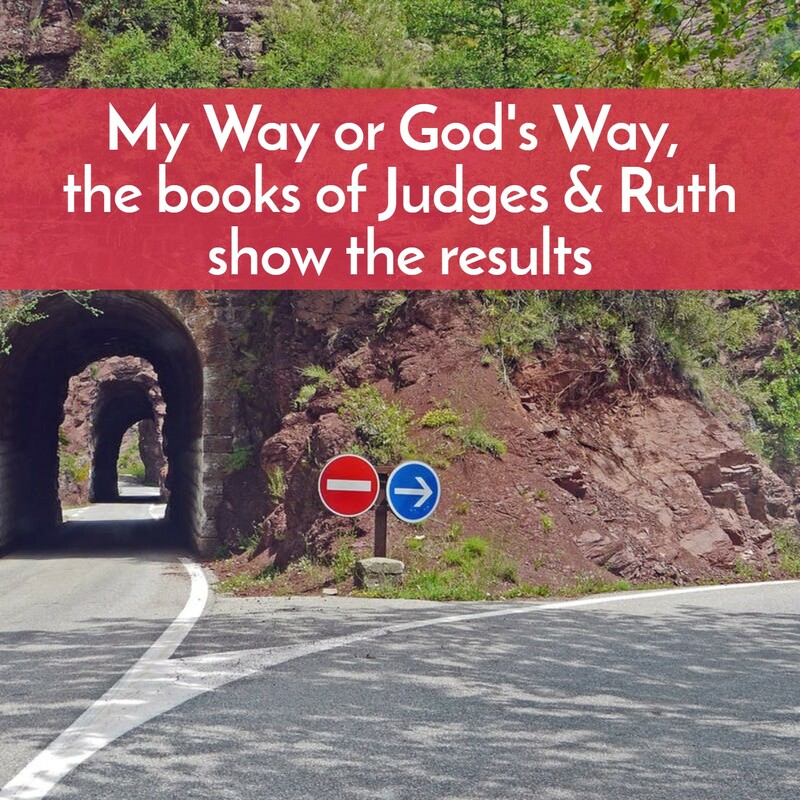 Judges and Ruth show us there will always be two ways to live–God’s way or our way. The lesson ends with sharing perhaps why we don’t choose God’s way and the reasons why his ways are always best. They may not be the easiest, but they are the way to true joy and peace. Below the podcast is a downloadable PDF of the notes for the podcast and a print-out of them. Go to any of these sources on your mobile phone, or click on the link below to go to your preferred way to listen to podcasts. You can always listen from this site also. Please share with friends! Life after Death—God’s gift or man’s wishful thinking? What do the Old Testament Laws & Odd Regulations have to do with us today? 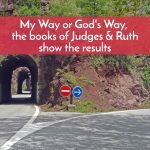 Lesson #5: From a person to a people– Abraham, Isaac, Jacob, and Joseph AND is God or are people in charge of history? Jesus response to betrayal and death prompts us to ask: How do we respond to challenges and disasters?